Bob Deyan’s Birthday Cake with exquisite dot design. I don’t know what comes over me sometimes. Maybe it was the frozen coffee drink I had at Costco this afternoon (never even equated the coffee flavor with the possibility of caffeine) – DOH. So, I found myself promising a carrot cake to my friends Debra and Bob for tomorrow. 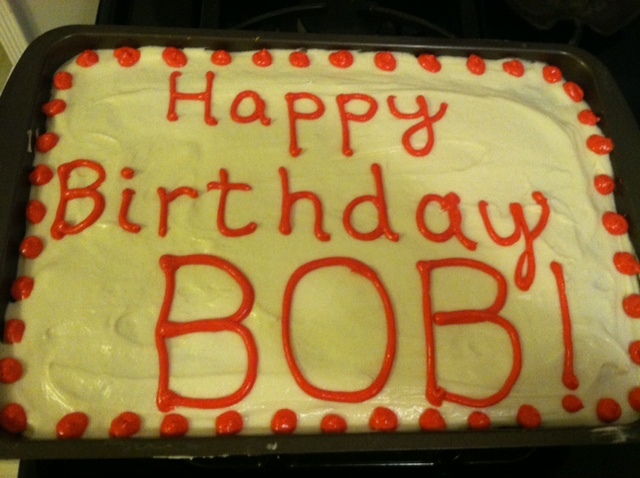 Tomorrow is Bob’s birthday. He’s my friend with ALS, and if he can muster the strength to struggle through each day just to survive, the least I can do is bake a carrot cake for his friends and family to enjoy. And yes, my highly technical plastic bag dot design is on full display on his cake. Eat your heart out Martha Stewart. So, I grated way too many carrots because I love the way the food processor works. It reminds me of the machine that Aunt Beru used in Star Wars. My inner nerd was neatly processing the carrots into tiny orange shreds with a clean whirring sound – imagining myself in a galaxy far, far away when I realized the processor was full. Well, my inner nerd and I ended up with an embarrassingly large container of shredded carrots, even after the carrot cake’s 3 cups. So, I thought, hmmmm, how about carrot muffins? I went to Food Network, my go-to place for recipes, but didn’t see anything that set me on fire, until I found a muffin recipe on their holiday central page. I figured I had nothing to lose by trying it. 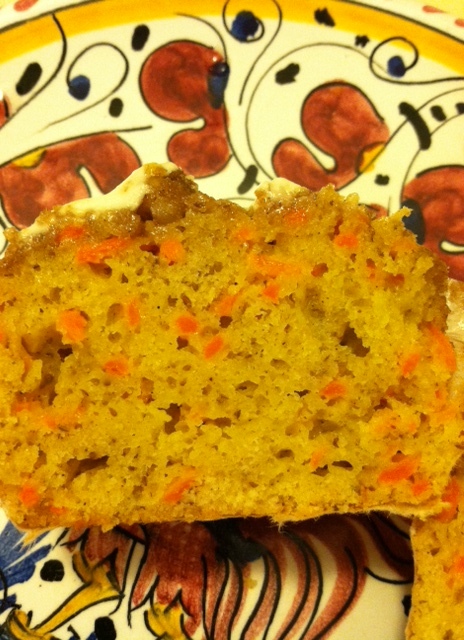 Amazing, almost healthy, carrot muffin! I tweaked it a little (as usual) because they didn’t have a recipe for carrot muffins. That’s probably because muffins, by their very nature, are supposed to be light and airy with little holes in them, so heavy carrots will weigh them down. But who cares? I had carrots and they were going in. I also decided to add flaxseed since I am now a little nervous because one of my siblings just had a heart attack. Flaxseed is supposed to be good for your heart, although I don’t know how much good it does when you only put a quarter cup in a batch of muffins made with butter, sour cream and sugar, but it’s better than none. I’m sure my heart is thrilled because, hey it’s a start. It also has fiber, thank God, because here in California clean colons are very hip. 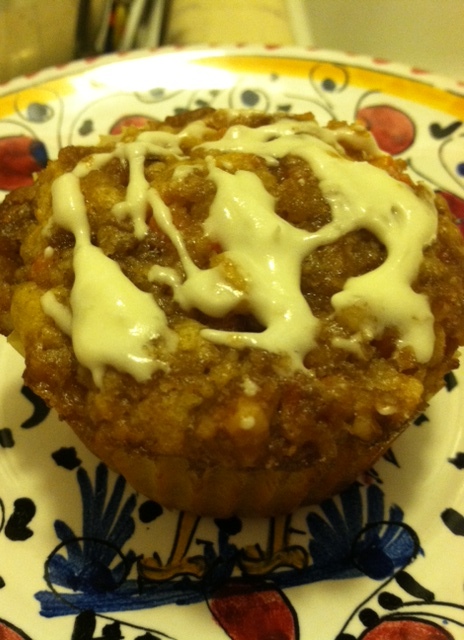 Almost healthy carrot muffin interior with flaxseed. Last time I went through a flaxseed phase, my kids mocked me because I tried to sneak it into everything. Well, let them mock because I think the flaxseed adds a little something to these muffins. If you want to get really gutsy you could add more, but I only used a quarter cup. And I confess, I didn’t use their streusel topping because I found a bag in my freezer with a mixture of brown sugar, butter and chopped nuts left over from some other caffeine induced baking spree, so I just used that for my streusel and I didn’t use much. I also drizzled some really healthy cream cheese frosting on top. Oh, who am I kidding? These muffins aren’t really healthy, but they’re moist, easy and good, so enjoy one and give the rest to your skinny friends. Fold the wet mixture into the flour mixture. Don’t mix too well, just until combined. Divide among 12 prepared muffin cups, sprinkle with streusel and bake, 20 to 25 minutes. (I baked mine for 22 and they were perfect.) The cream cheese drizzle is optional, but you know you want it. This entry was posted in Caffeine Induced Baking and tagged carrot muffins, delicious flaxseed, moist, muffins. Bookmark the permalink. Yeah. I just entered their 25 things I love about mom contest. 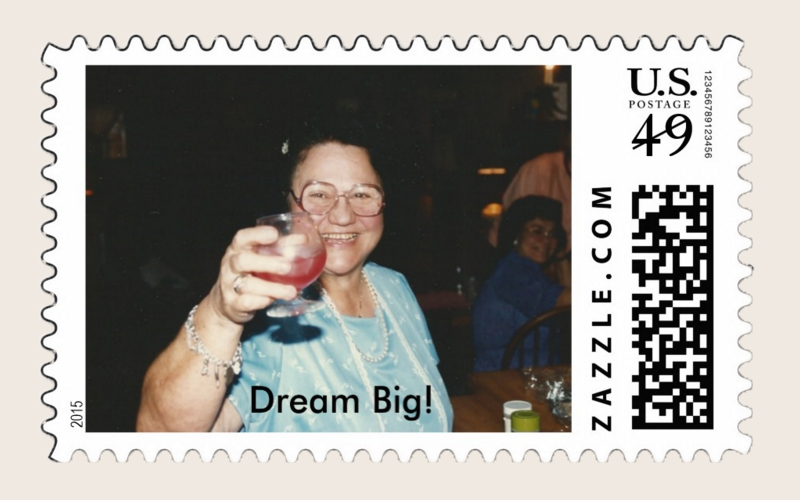 I do have a pin page and pin things often. I’ve been busy lately and haven’t had as much time to look and pin. I sure didn’t last night. A whopping 4 hours maybe. I must never do that again. Note to self, if it tastes like coffee, and smells like coffee, it probably has caffeine. Do not drink it after four. Some of us are clearly just not quick to learn these things. Grazie. Funny? Crazy? I believe they go hand in hand.